Sona Gym & Spa is the Ladies special gym that is located in the sector 70, Mohali. 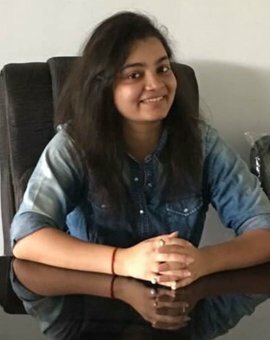 Sona Mahajan is the owner of this gym who believes that every lady should have the opportunity to live the fit and healthy lifestyle. So, we made it simple and easier to all the ladies by providing them a good and world class gym in Mohali. Sona Gym & Spa has an inviting and friendly environment -most of the ladies like to come to us to socialize, have fun, and just get out of the house for a while! 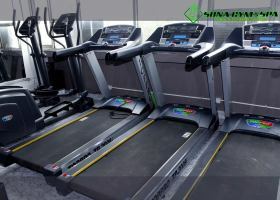 So, whatever your age, size, level of fitness or experience of using a gym, you will be amazed at how easy it is to use our “life fitness” gym equipment. Sona Gym & Spa is not only the Mohali's best gym but it's also a complete ladies fitness center. 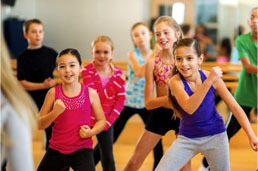 We have certified Zumba trainers, that provides dance classes for kids in Mohali. Zumba is an exhilarating, effective, easy-to-follow, Latin-inspired, calorie - burning dance fitness-party™ that's moving millions of people toward joy and health. Our Zumba classes combine Latin and International music with a fun and effective workout. Join the party and dance to the beat of rhythms of the world with Zumba. Try our choreographed aerobic workout utilizing the Step! You'll definitely have your ups and downs as you improve your endurance and coordination via aerobics classes in Mohali. Dance yourself into shape with the Latin rhythms of our Fit Dance classes! Move, shake and groove through a variety of Latin favorites that will help you burn calories and sweat off the pounds. 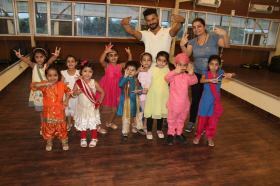 We also provide special kids dance classes and hired special trainers that have huge experience in giving kids dance classes(Mohali). Aerobic exercise (also known as cardio) is a physical exercise of relatively low intensity which builds stamina over time. Our choreography based Aerobics classes provide a great cardiovascular endurance workout. Along with this, we also provide Wedding choreographer and Bhangra classes in SAS Nagar. Our trainers are highly experienced and skilled that'll help you in giving the best choreography for your wedding and bhangra classes. Hurry up! Join today the dance classes for kids, Aerobics classes, Zumba classes, and gym in Mohali(Sona Gym & Spa) to stay healthy and fit.